Shannon Colburn was born and raised in Sussex County, spending much of her life at her family home on Bayard in downtown Rehoboth. She attended local schools and is a graduate of Cape Henlopen High School. Shannon started working in local restaurants as a teen, and was at Bluecoast Bethany, SoDel Concepts’ flagship restaurant, on day one. A front of house expert, Shannon has worked every position including host, bus person, server and expeditor. At SoDel, Shannon has worked at many of the restaurants including Bluecoast Bethany, her mainstay, Lupo Italian Kitchen, Papa Grande’s, Matt’s Fish Camp, Northeast, and Catch 54. She has helped open SoDel restaurants, has trained staff, or has simply filled in when there was a need. In the fall of 2014 Shannon became the General Manager of Bluecoast Bethany, where she had long been regarded as one of its' greatest assets. 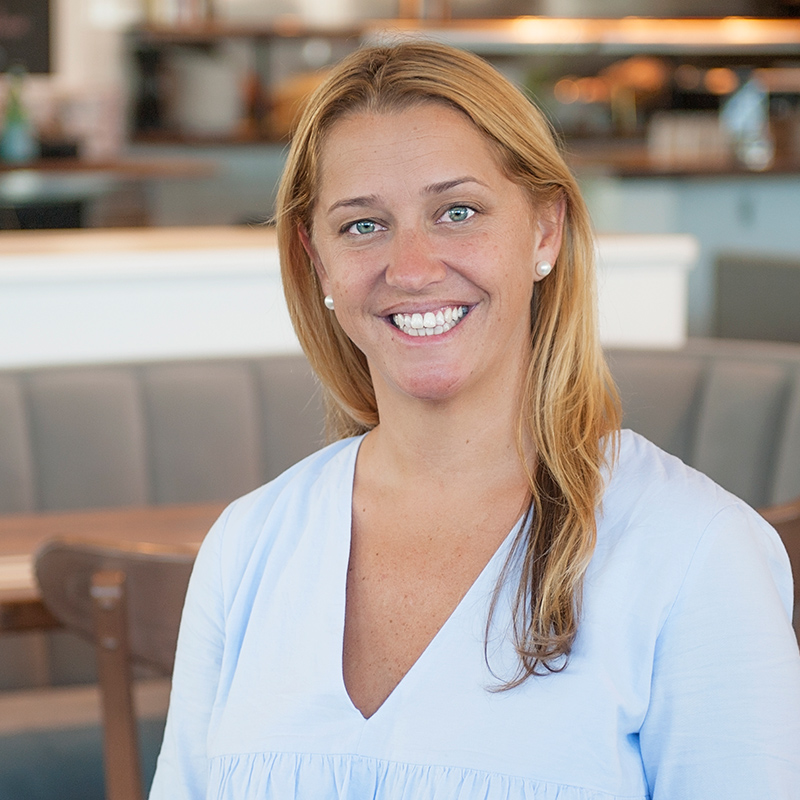 In 2018 she was promoted to the position of Director of Operations, and now oversees all of the operations at Bluecoast Bethany and Lupo Italian Kitchen in Rehoboth. The restaurant business has always been a natural fit for Shannon, it is fast paced and challenging, but it also allowed her to explore her other passion, travel. Shannon has been to all 7 continents and has visited over 55 countries.